Tuition fees was one of the central and ever recurring topics in the Global Perspectives Programme 2012. However, tuition fees are not only relevant for access to higher education, but also for the relation between society and university and therefore for this year’s GPP. Additionally, when students from the US and Switzerland meet to discuss whichever higher education issue, they almost inevitably find themselves discussing tuition fees one time or another, since the differences are so incredibly huge. In Europe, we can see a general trend to increase (or even introduce, as in some German Bundesländer) tuition fees. I have been reporting in an earlier post about the plans of the ETH and EPFL to considerably increase their fees. The University of Lucerne now opposes this trend. At the moment, tuition in Lucerne amounts to 1400 Swiss Francs (a bit more than 1400 USD) for students coming from Switzerland and 2000 Swiss Francs for students from abroad. The Government of the Canton Lucerne now imposed political pressure on the university to increase tuition. However, the university resisted and decided to keep fees as they are right now. As compensation, the university now charges a one time enrollment fee of 100 Swiss Francs. Further, professors agreed to get an increase in their salary half a year later. In an interview with a local radio station, Rektor Paul Richli named two reasons. First, he deems it important to safeguard equal opportunities to access higher education. Second, he wants the University of Lucerne to remain competitive with other universities. While the first line of argument is somewhat obvious, the second it is remarkable insofar as it provides further evidence of a growing awareness of a shift to a more competitive higher education landscape also in continental Europe. In a few days the Basel Global Perspectives Programme Group 2013 start their adventure. This year’s GPP topic reads: University and Society: Meeting expectations? This is not only a challenging but also (again) a very current topic. In order to assess whether we are meeting society’s expectations we first have to figure them out. This leads us preliminarily to two questions that might be the GPP 2013 umbrella questions. What is a university? What is its role in society? With the very same questions, 27 professors from the University of Zurich introduce their International Appeal for the Protection of Academic Independence. The Appeal claims that university sponsoring by business actors threatens academic freedom and vigorously calls for protection of the latter. In my opinion, the relation between university and the economic sector is an interesting and important question for the GPP 2013. It might be especially interesting because, at least I assume so, in Europe we might have more fundamental reservations against university sponsoring than in the US. So, what is your opinion? What do you think of the Zurich Appeal? Does university sponsoring threaten academic freedom, and if so, how can we defend the latter? Now that cooperation between the private sector and public universities has all but become the norm, in Europe as elsewhere, it is time to ask some basic questions: What is a university? And what is its role in society? Universities grew out of the idea of establishing a place where freedom of research, education and scholarship is protected and beyond venal influence. They serve the common good and in turn are supported by the community. Directly linked to this founding idea is the academic ethos that preserves the institution of the university as a special place, free from political, ideological and commercial interests. Freedom of teaching and research is protected by the Swiss Constitution. Against this background, it is self-evident that a public university should neither cooperate with nor accept sponsorship from institutions associated with public scandal or unethical conduct. That is damaging to the academic reputation of any university. And it impinges upon the independence of the scholars concerned, particularly those directly funded by such institutions, undermining their status as guarantors of independence and ethically-minded scholarship. The University of Zurich was born of this same spirit of independent thinking in 1833. It is “the first university in Europe to be founded by a democratic state instead of by either a monarch or the church”. This proud claim stands to this day on the university’s website. The question is: are today’s universities still sufficiently independent in an age of cooperation and sponsorship? In April 2012, the Executive Board of the University of Zurich concluded a cooperation agreement, in camera, with the top management of UBS (Union Bank of Switzerland). The agreement entails sponsoring of the university by UBS to the tune of 100 million Swiss francs and the establishment of a “UBS International Centre of Economics in Society” within the scope of the university. Neither the public nor the research and teaching staff were asked their opinion. The agreement between the university and UBS was concluded secretly in the spring of 2012. This procedure brings the issue of sponsorship into sharp focus. The Executive Board of the University concedes that the bank is using the university as a platform to further its interests. However, UBS is a particular case of a business that has been shown in the past to have engaged in unethical practices. The fact that the bank was able to place its logo at the University of Zurich has nothing to do with scholarship and everything to do with marketing. It is a glaring example of the problematic nature of academic sponsorship. But there are many more instances, in other European countries, of questionable university sponsorship deals. In one case, in June 2011, Deutsche Bank had to withdraw from a controversial sponsorship arrangement because of justified public criticism. This shows that sponsorship involving specific vested interests and secret deals – in contrast to altruistic patronage and donation by benefactors – represents a threat to the impartiality of university research and teaching. The very academic ethos is at risk. As citizens, researchers, academics and students, we appeal to the leaders of the universities and all who bear responsibility for our educational institutions, at home and abroad, to safeguard the precious heritage of free and independent scholarship, and to avoid endangering the academic ethos in controversial collaborations. This is my draft report for the Global Perspectives Manual 2012. Comments, questions, suggestions, in brief, everything that helps to improve it, are highly welcome. In the Global Perspectives Program 2012, I decided to take a closer look on first-year experiences. My interest in this field stems from my own teaching activities. For seven years I’ve been teaching first-year courses at the University of Basel Law School. Every year I see that university is not the simple continuation of high school. It is a whole new world and a whole new life. Students experience a transition. We need to support their transition in order to get good and successful students that grow to be good academics and practitioners later. The term “first-year experience” is an umbrella term referring to a variety of institutional activities that aim at supporting the transition from high school to university. Calderon and Nutt discern seven groups of activities. – Pre entry activities, such as bridge and pathway programs. – Activities related to induction and transition, such as welcome events and student peer mentoring. – Skills development activities, such as courses on learning strategies. – Academic and social support first-year and beyond, meaning consultation services. – Holistic first-year strategies, such as induction courses over a longer timeframe. – Building relationships, such as activities that foster academic or social networks. – Institutional research, meaning research universities conduct about their student population and about the obstacles their students face in the transition to university. As this enumeration shows, a higher education institution’s first-year experience is a cluster consisting of various courses, programs and services. Therefore, it was not possible within the Global Perspectives Program to conduct a comprehensive in-depth research on the first-year activities of the institutions we visited. Instead, I could only gather exemplary information about specific activities. My investigation method was very simple. When we visited universities in Boston and Virginia, I would just ask the representatives we met, whether and what they could tell me about first-year experience in their institution. Betsy O. Barefoot’s remark that “first-year programs often have a single champion rather than broad-based institutional support” held true. University representatives would just tell me about the one program or service they knew about. Thus, my account is highly selective and something coincidental adheres to it. I report what a few people at two US universities told me about specific programs. What I found out in the US, I compare again with a small snippet from Switzerland. With the one department at the one university I know: the University of Basel Law School. In the second section I will briefly highlight a few findings from research on first-year experience. Then I outline the activities I learned about in the US. Section four deals with first-years activities at the University of Basel. Before I come to my concluding remarks, I compare first-year experience in the US and Switzerland and try to find an explanation for existing differences. Most array of first-year experience research was conducted in and on the US and the UK. In the US, there is even a journal on the issue. It is interesting to see that First-year activities attracted scholarly interest and institutional recognition only in the late-twentieth-century as the student body became more and more diverse. Upcraft and Gardner describe the increased attention to improve the first college-year as a “grass-roots movement.” It is far beyond the scope of this paper to conduct a review of the existing literature on first-year experience. I will in this section point out three findings of this literature I deem interesting in the light of my experience with first-year activities in the US and Switzerland. First, students need help in adapting to university life and becoming autonomous learners. Fazey and Fazey found that students in general have a positive attitude towards autonomous learning and are motivated to become autonomous learners. However, as the research of Pokorny and Pokorny shows, students need time to adjust and they need help. Thus, research supports the personal experience of many a first-year teacher that we need to help our students in their transition. Turning from the first-year activities yes-or-no question to the how question, there is an impressive amount of literature on good first-year practice. This literature leads me to the second and third finding I like to highlight. Second, induction activities prove to be important. However, they are delicate to design and risk providing students with too much of the wrong information at the wrong time. The result is that induction programs might undermine their own purpose and leave students behind more confused than enlightened by an information overload. Therefore we need to design a gradual induction process that allows for enough time. Third, skills development is best contextualized with the subject-matter and embedded in the curriculum rather than being taught in a standalone workshop or course. When I dropped the expression first-year experience in our conversations at Tufts and University of Virginia, I would hear in a rather general way about free tutorage to teach study skills, special programs for mature students or first generation college students, support for students with socio-economic issues, bridge programs, summer programs, transition programs social services, weekly lunch talks witch freshmen and sophomores and the like. However, we could not look in depth at all these programs and services. We lacked time and knowledge about the programs to go into details. Instead the discussion focused on those first-year activities in which the present university representatives had certain insights. Therefore, I want to highlight two first-year activities: the bridge programs at Tufts and the Mentoring Institute at UVA. At Tufts, I had the opportunity to talk to Robert Mack and Travis Brown who are responsible for bridge programs that Tufts offers to high school students. Brown is in charge for the BEST program. BEST stands for Bridge to Engineering at Tufts. Actually, the title is too narrow. The program is not only for future engineers, but for students in all STEM (science, technology, engineering and mathematics) fields. BLAST, under the guidance of Robert Mack, is its counterpart in liberal arts. Both programs start six week before the semester begins. They are limited to a small group of students: fourteen in BEST, twenty-two in BLAST. Eligibility is not by grades or GPA cut-offs. The students selected for the programs are normally first generation college students, receive financial aid and are the first of their high schools who have been admitted to Tufts. In the programs, students take two courses for credit. One might wonder why the focus of the programs lies in attending courses students have to attend anyway within their freshman year. The advantage of the program is that students can do the courses within a more structured framework and in small groups that allow for more individualized attention and support. It allows them to concentrate on these two courses only and eases the burden of the coursework for the rest of the year. Besides these courses, the students also attend academic and college life workshops in order to learn about the culture of college and the expectations towards them. It has to be stressed that neither BLAST nor BEST are remedial programs. They are designed to help students in their transition to university, to adjust to college life. Further, the programs bring together people who are in the same situation and help them to build a support group. The Mentoring Institute at UVA is a first-year program for graduate students. It stands open to students that belong to marginalized groups in graduate studies. The program works through fostering faculty-student relationships. It pairs a student with a more advanced student who serves as a coach and a faculty. Coach and faculty are in a different field from the student. The purpose is that students get an idea of different lifelines. There are activities through the whole academic year and participants communicate weekly or biweekly. What is most fascinating about the program is that it is conceptualized as a two way street. On the one hand, students belonging to marginalized groups get mentoring and support so they can navigate through graduate school successfully. On the other hand, faculty members serving as mentors develop skills in working with disadvantaged groups. They get an idea about the challenges those students face in their everyday university life. In 2007, the program received the prestigious Council of Graduate Schools Award. Also at the University of Basel, first-year experience is to a large extent a bottom-up matter. There is no comprehensive first-year strategy. A few people within the departments develop and conduct activities. At least, the University’s Teaching Committee conducts a small-scale project on first-year experience. The project is a rather descriptive stock-taking exercise. The Committee wants to know form the departments about their first-year experience programs and services. The project pursues the goal to compile a best practice list. There are two pre entry services offered by the University and the departments in collaboration. Both services are not actually bridge programs as the ones offered at Tufts. They aim at informing high school student’s decision what and where to study. The Studying Guidance Services organize information evenings in autumn. Here high school seniors meet with professors, administrative staff, former and present students. They get first information about the department, the curriculum and employment prospects. In January, the University opens the door for the high school students’ day. Here, the students attend lectures, chat with assistants about studying and talk with practitioners about their everyday professional life. At the Law School, we can distinguish two kinds of first-year activities that take place at a different time in the academic year and fulfill different functions: the freshmen’s week and some first-year courses. For a long time now, the Law School has offered a special introduction program at the first two days of the bachelor study. In the last two years, this program has been extend on the initiative of and in collaboration with the Law Students Club to what is known now as the freshmen’s week. I don’t want to set out the program in detail. The freshmen’s week combines induction and transition with building relationships. The faculty still offers the introduction courses in the first two days and the Law Students Club organizes guided tours to the library, a BBQ and a party. The week ends with a hike and drinks and snacks. Most freshmen I asked appreciated the freshmen’s week. They felt warmly welcome at the Law School and got the impression that they are taken seriously and that the Law Schools cares about them. Further, they welcomed the opportunity for building relationships. On the other hand, they agreed that in the introduction courses, there was too much of the wrong information at the wrong time. The Law School seemed to have stepped into the information overload trap. Further, the freshmen’s’ week also provides an example of a lack of coordination and institutionalization of first-year activities. Two weeks later, a professor conducted guided tours to the library as an integrated part of his course. Thus there is still some fine tuning to be done. After the freshmen’s week, the Law School supports the transition with two courses that are primarily aimed at skills development. First, the three big courses do not only consist of lectures but also of small group tutorages. A small group means 20 to 30 people as opposed to around 250 in the lectures. These tutorages mainly serve at teaching students how to apply their knowledge in order to solve legal problems. This ability is indispensable in order to pass the exams at the end of the first-year. Apart from skills development the small size of the group allows for a more individualized support, also regarding question outside the subject matter of the course such as about university life or the curriculum. The strength of these tutorages is that they integrate skills development with the subject matter of the courses. Students rate these them as invaluable and crucial for their success in the first-year exam. They regularly deem the tutorages amongst the most useful courses in the curriculum. Second, there is a mandatory course on legal writing and working methods. I welcome that the Law School acknowledges that students need training in legal working methods. However, the course suffers from its design in so far, that writing styles and working methods are taught in a rather theoretical way. Students are told how to write, but they do not write in the course. It is important to find a way to integrate the development of legal writing and working skills better in the curriculum. 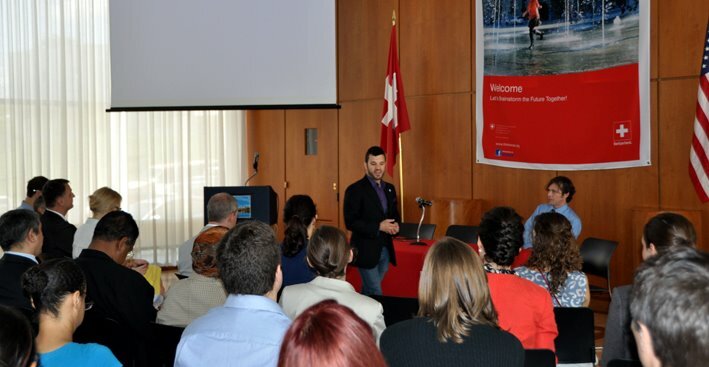 I got the impression, that the need and the importance of first-year activities are more acknowledged and that the activities are further developed in the US than in Switzerland. This is also reflected in the fact that in Switzerland, there is hardly any research on the topic, while in the US there is even a journal on it. The biggest difference I found was that in the US there are an impressively large number of first-year activities for specific students or specific groups of students such as mature students or first generation college students. In Switzerland first-year activities are normally addressed to the student body as a whole. Thus, we must introduce a new dimension to distinguish first-year activities. The categories I listed in the introduction relate to the content and the goal of the activities. The new dimension I suggest relates to the addressees of the activities. We should distinguish general and targeted first-year activities. Probably, the targeted first-year activities were overrepresented in our discussions at Tufts and UVA. If so, the reason might be that diversity was the umbrella topic of our whole visit to the US. Thus, the aspect of diversity shed a light on every issue we discussed. Therefore, when I asked about first-year activities, these targeted programs that aim increasing diversity and handling existing diversity first came to people’s minds. To get the image right, there are also general first-year activities in the US. To name one example, the University of Virginia’s College at Wise requires all first-year students to complete a freshman seminar. The class focuses on teaching academic skills and introducing students to academic life. Students are provided an advisor. Advisors and students meet regularly in order to address all kind of transition issues. This leads us to another difference I experienced. I got the impression that first-year activities in the US are more personalized in so far as they often involve a form of personal mentoring or advising. As the example above shows, this is not only true for targeted activities, where it is somewhat obvious, but also for general activities. When teaching first-year tutorages, I often grew into the role of a personal advisor for some students. However, this position is not institutionalized. Whether a tutor also accepts an advising position depends on how he interprets his role as a tutor and whether he is willing to do some (unpaid) extra work. I found four reasons that root in some of the general differences between the US and the Swiss higher education system that might help explaining these differences. First, going to university has a much bigger impact on one’s life in the US than in Switzerland. This is on the one hand because traditional students are significantly younger in the US. A traditional student in the US is 17 to 18 years old when he enters college, while in Switzerland people start studying normally at the age of 19 to 21. Therefore it might be more obvious in the US that students need support in their transition. On the other hand, in the US, your life normally changes dramatically when you start college. You probably move some hundred miles away from home. You enter a totally new social environment. You do not only study on campus, but you sleep there, you eat there, you do sports there, you live there. In Switzerland, university does not have such a big influence on students’ everyday life. Students often stay at their place or at least they go back there on weekends, they are still in their old sports club or join a new one outside university. Even though they also enter a new social environment, this is often in completion and not in place of the old one. Thus, programs that support students in building their new social environment are less important in Switzerland than in the US. Second, the US educational landscape faces the problem that due to the differences in the quality of high schools, not all high school graduates are college-ready. This is one of the main reasons why universities started to design bridge programs. As Carmen Lowe at Tufts put it: “The origins of bridge programs lie in the fact that many qualified student only lack that their high school did not offer a certain course.” Even though high schools in Switzerland might not be equal, they are of equal value. The problem that high school graduates are not college-ready because of a lack of quality of their high school does hardly exist there. Thus, there really might be a lesser need for bridge programs and the like in Switzerland than in the US. Still, as the example of BEST and BLAST show, bridge programs can fulfil different functions than just compensate for lacunae of one’s high school education. Third, noting that first-year experiences are also seen as a tool to manage diversity, one also has to consider that in the US there is a broader and more conscious approach to diversity issues. In the US, the prevalent diversity issues are race, gender and socio-economic status. In Switzerland, the diversity question focuses a lot on gender. Generally, in Switzerland, we have a very egalitarian perspective on society and access to (higher) education in particular. This might lead people in Switzerland to overlook existing diversity issues. The different perception of diversity might especially explain why in Switzerland there are significantly less targeted programs. Fourth, US higher education institutions are much more market-oriented and in a competition. Offering supportive first-year activities might be an argument for prospective students (and their parents) to choose a certain institution. Retention services are important not to lose students to another institution. However, also the educational landscape in Europe shifts towards competition and market-orientation. Even though we cannot predict now how fast this shift occurs and how far it will go, universities do would be wise to be well prepared. On our visit to the US, I got very positive reactions on my research topic. People would always stress how important they deem first-year programs and that students needed help in their transition from high school to university. They would tell me with a lot of verve about their programs. Accordingly, I was very surprised to hear one person commenting in a distinctly derogatory manner: “First-year experience? Yes, we do a lot of that hand-holding stuff.” There might be some truth to this statement. There might be too much and the wrong kind of support. When designing first-year programs, we should never lose sight of their over-all purpose, namely to have better and more autonomous students. We will only achieve this if we (gradually) leave hold of the hand. Denis Calderon and Diane Nutt, International Perspectives on the First-Year Experience in Higher Education (Columbia SC: National Resource Center for The First-year Experience and Students in Transition, 2010). For another way to structure first-year activities see Betsy O. Barefoot, ‘The First-Year Experience: Are We Making It Any Better’, About Campus 5 (2000) 12, 14. The Journal of the First-Year Experience and Students in Transition, published twice a year by the National Resource Center for the First-Year Experience and Students in Transition. M. Lee Upcraft/John N. Gardner, The Freshman Year Experience: Helping Students Survive and Succeed in College (San Francisco: Jossey-Bass, 1989) xiv. If you are looking for comprehensive review of research on first-year experience read Lee Harvey/Sue Drew/Maria Smith, The First-Year Experience: A Review of Literature for the Higher Education Academy (Sheffield: Higher Education Academy, 2006) available at http://www.heacademy.ac.uk. Della M. A. Fazey/John M. Fazey, ‘The Potential for Autonomy in Learning: Perceptions of Competence, Motivation and Locus of Control in First-Year Undergraduate Students’, Studies in Higher Education 26 (2001) 345. Michael Pokorny/Helen Pokorny, ‘Widening Participation in Higher Education: Student Quantitative Skills and Independent Learning as Impediments to Progression’, International Journal of Mathematical Education in Science and Technology 36 (2005) 445. For an overview see Harvey/Drew/Smith, 64-88. Ian Lewis, The Students Experience of Higher Education (London: Croom Helm, 1984); David J. Hargreaves, ‘Addressing the Transition to Tertiary Education on Engineering’, European Journal of Engineering Education 31 (1998) 79; Ruth Woodfield, Student Perceptions of the First Year Experience of University 2000/2001: Results from a Qualitative Email Survey (Falmer: University of Sussex, 2002). David Billing, ‘Induction of New Students to Higher Education’, Innovations in Education and Teaching International 34 (1997) 125. Marry E. Levin/Joel R. Levin, ‘A Critical Examination of Academic Retention Programs for at-risk Minority College Students’, Journal of College Student Development, 32 (1991) 323; Mick Healey, ‘Curriculum Development and ‘Enterprise’: Group Work, Resource‐Based Learning and the Incorporation of Transferable Skills into a First Year Practical Course’, Journal of Geography in Higher Education 16 (1992) 7. Robert Mack is Associate Dean of Academic Advising and Director of BLAST at Tufts. Travis Brown is Director of STEM Diversity, School of Engineering, and Director of BEST at Tufts. Accordingly, the acronym stands for Bridge to Liberal Arts Success at Tufts. The big courses are constitutional law, contract and torts law and criminal law. For a review of literature on how student characteristic impact on performance and persistence see Harvey/Drew/Smith, 47-53. The average lies by 20.9 years. See Laurence Boegli/Sarah Gerhard/Martin Teichgräber, Studieren unter Bologna: Hauptbericht der Erhebung zur sozialen und wirtschaftlichen Lage der Studierenden an den Schweizer Hochschulen (Neuchatel: Bundesamt für Statistik, 2009) 16. However, less important does not mean not important. Consider for example Tinto’s study on how learning communities positively affect student success. Vincent Tinto, ‘Learning Better Together: The Impact of Learning Communities on Student Success in Higher Education’, Journal of Institutional Research 9 (2000) 48. Carmen Lowe is Dean of Academic Advising and Undergraduate Studies at Tufts. On different perceptions diversity see my blog post The Diversity of Diversity at https://newadventuresinhied.wordpress.com/2012/06/12/the-diversity-of-diversity. When we discussed access to higher education at the Global Summit in Riva, one of the highly recurrent issues was that access to higher education requires information about higher education. The respective slogan was: know your options! But how do you inform your decision on whether you want to go to college and which subject you want to study? You can talk to a lot of people, surf on many a website and read all these glossy brochures universities publish in order to recruit students. However, you still don’t know what college is like. You don’t know what college is like until you experienced it. In Riva, we found that one of the good things about online lectures was that they enable future students to get an insight into university. Attending an online lecture might give you a sneak peek. But let’s be honest!There is more about going to college then just attending lectures. It’s a new life, a new lifestyle. Living on campus or with other students in a shared apartment, instead of living with your family. A whole new environment. And not to mention all the parties. So wouldn’t it be great if high school students could just try out university for a week or so? Seven German students come up with an equally simple and convincing idea to enable exactly this. On their website, they set up high school and college students. The latter host the former for a week, take them to lectures, introduce them to their study subject, show them around on campus, explain to them how everything works at college and bring them to parties. In short, they give them an introduction into life as a college student. What I find intriguing about this project is how simple but effective it is. There is something obvious about the idea (and still, it did not come to our minds in our long and extensive discussions). Implementing it does not take much. Especially, it is not expensive. Actually, all it takes is a website and volunteers. In order to inform their decision, participating high school students get valuable and authentic insights into university life in general and into the subject they plan to study in particular. Of course, a week is a short time. Too short to answer all the questions. But it is more than a sneak peek. Online education was one of the big topics of the 2011 Global Perspectives Program. It was omnipresent in our discussions about access to and within information. Our claim that access to higher education can significantly be improved echoed a lot in the discussions at the GPP Conference in Washington. Today, a development in the world of online education took place that was considered to be “part of a seismic shift” (New York Times) or “the tsunami” (Richard A. DeMillo, Director of the 21st Centuries Universities, Georgia Tech). What happened? Coursera, a one year old company founded by two Standford University computer scientists, offering free massive open online courses, announced that a dozen universities are joining the venture. Amongst them are University of Virginia, Georgia Tech, John Hopkins, Duke and EPF Lausanne. Improving access is part of the mission of Coursera, as can be read on their website. “We envision a future where the top universities are educating not only thousands of students, but millions. Our technology enables the best professors to teach tens or hundreds of thousands of students. By including EPF Lausanne, Coursera addresses another access issue we have identified in the GPP: languages. EPFL offers courses in French, thus opening up access to students in half Africa. Interestingly, the University of Washington plans to offer credits for their Coursera courses already this fall. Of course, there are still a lot of unanswered questions, especially in relation to taking exams and grading. Who should be grading and how? Where are tests taken? How to address the cheating problem? Are exams offered for free? Coursera’s announcement was accompanied by very big words. As always, it will take some time to see whether they were justified. However there are strong signs that online education is more than just a hype. Coursera is not the only player in the field. Only to mention two, there are also edX, a joint venture of Harvard and the MIT and Udacity, founded by Sebastian Thrun of Stanford. As these examples show, what was developed in community colleges, now is supported by some of the most renowned universities. In any case, the education landscape is in motion. And I am happy to see that the Global Perspectives Program makes a small contribution thereto. “I have the pleasure to share with you the Basel experience in the GPP, the Global Perspectives Program. But maybe we should rename it and call it the Global Perspectives Process. Process, because it changed us. We are not the same persons any more than we were in March when the GPP began with the input seminar; when Karen DePauw taught us what it means to be a GPP participant, what she expects us to put in the program and what we might take out of it. At this point, we became GPP participants as individuals and our diverse little bunch, when it comes to nation and research fields, started to grow together to what is the Basel GPP Group 2012. Thus, we were ready to enter phase two of the process: meeting our friends and colleagues from Virginia Tech and Lund University in Riva San Vitale at what was called the Global Summit. This was one of the most valuable experiences of the program. It was not only about meeting interesting people from abroad and having a good time together. It was about working together. It was about creating a common vision despite our diverse backgrounds. Indeed, our diversity was crucial to meet the challenge of thinking beyond what we already know and take for granted. Without diversity, we would never have been able to overcome the tyranny of common sense. Five days ago, the highlight of the program for us started: our trip to the US. And again, diversity was the keyword. We visited various kinds of higher education institutions ranging from the Massachusetts Institute of Technology to the New River Community College. And I can assure you: the Community College was at least as interesting as the MIT. We had the opportunity to talk to professors, deans and high-ranking administration staff as well as to graduate and undergraduate students. And through all these new insights, we started to construct our conception of the US education system. And being exposed to what is different from what we know, we started to reflect about our own educational system. And we asked questions we would never have come up with, if it were not for our new insights. Where are the leaks in the Swiss pipeline? What are our diversity issues? Is it really only gender? What about people with a migratory background? What about socio-economic status? Do we really live in the egalitarian paradise we sometimes wish we did? Karen DePauw is Vice President and Dean for Graduate Education at the Virginia Tech University and the head of the GPP on the Virginia Tech side. This is something I have learned from our American colleagues: branding. Admittedly, I borrowed this expression from Sir Kenneth Robinson and his highly inspiring Ted Talk “Bring on the Learning Revolution” http://www.ted.com/talks/sir_ken_robinson_bring_on_the_revolution.html (at 5:25). After visiting MIT and meeting up with young Swiss researchers there, today’s program should have brought us to Blacksburg, Virginia. Well, it did not. Not only the educational pipeline is leaking but also the air traffic pipeline. At the moment, we are at probably the least exciting place in one of the most exciting cities worldwide: the Clarion Hotel at Laguardia Airport, New York. We were already prepared to board, when the flight got delayed several times. Due to the bad weather our plane was still somewhere else. Shortly before 10 p.m. we finally sat in the plane and were about to take off. However, it is a quite bad sign when the pilot starts an announcement with the phrase: “I hate to tell you”. The problem was that he had already worked for 16 hours today and flight safety regulations do not allow him to work more than that. (The odd thing about the regulation is that he would have been allowed to fly us to Virginia if we had taken off before the 16 hours had expired, that means before 9:58 p.m. This would have led him to a working day of approximately 18, in words eighteen, hours. Insane!) There might be some inconveniences, but I rather spend the night in New York than be flown to Virginia by a tired out pilot. The title of my blog is an allusion to the 1996 R.E.M. album “New Adventures in HiFi”. And it was R.E.M. who wrote a song contributing to today’s soundtrack. “Leaving New York” (2004) with the chorus line: “Leaving New York is never easy”.